Orbit Whiskey Decanter & Stopper (P/N 17332). 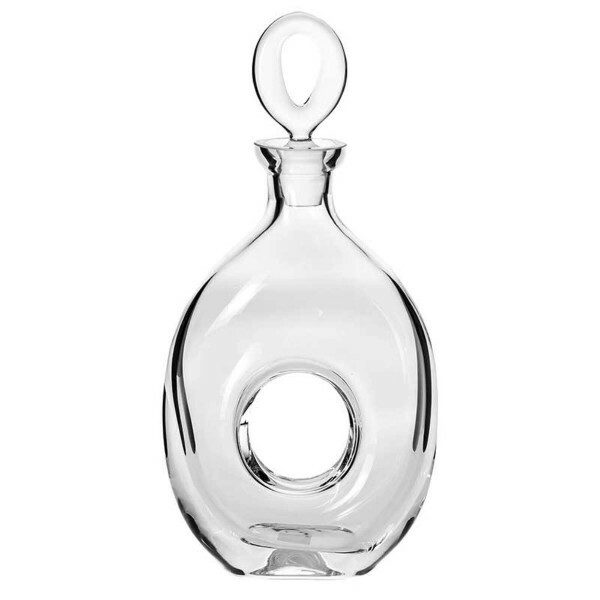 The orbit shape of this contemporary decanter is not just aesthetically pleasing, but also highly functional, with a center hole that provides a firm grip for holding and pouring. Mouth-blown in Poland by experienced glass artisans, the decanter measures 10 3/5 inches high and holds approximately 17 ounces (1/2 Liter). Includes a hand-ground glass stopper. IWA Exclusive! The stunning modern design of this Whiskey decanter will leave you and your guests breathless.